Be like a Stingray and move with grace and fluidity in life. 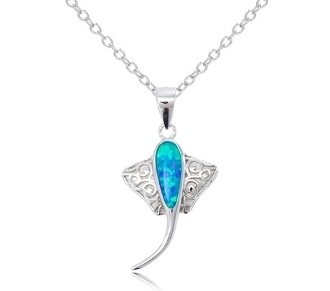 This Sterling Silver Stingray has a unique swirl design on its sides with an exquisite opal at its center. Stingrays have the ability to blend into their surroundings until they are called into action! With its intuitive nature, the stingray symbolizes awareness.